The opening scenes of this thriller look and feel like something I’ve seen dozens, maybe hundreds, of times before. The actual number isn’t so important as is the feeling of too many times. Cathy (Kelly Reilly) has some coffee at a local venue, where she’s observed by a man we’ll later know as Lewis (Luke Evans). She leaves, and he follows. In her car Cathy listens to a Christian radio station (the act-one equivalent here of Chekhov’s gun, in a sense) while driving to the gym. At the gym she reacts with some priggish put-offedness to a fellow sweater’s implications about the sexual desirability of their yoga instructor. And in the parking lot, Lewis pulls a gun on Cathy after she’s alone, binds her up, puts duct tape over her mouth, and throws her in the trunk of his car. At his very swank, out of the way Home Of Modernist Design, Lewis deposits Cathy in a 10x10 room with padded walls, and informs her that said walls are four feet thick and completely sound absorbent. He has one question for her: what is her name? Instead she screams, and just as he predicted, it is to no avail. So, what exactly is with this particular umpteenth man-tortures-woman scenario? It seems that as badly as Lewis is acting, he may have some reason for what he is doing. He’s not interested in violating Cathy physically, nor is he after her money. If she cooperates with him, Lewis said, “We can get down to business.” What is that business? Lewis doesn’t say. Instead, he says “Animals can smell death, you know that,” and tells a story about a bull escaping from a slaughterhouse. He tells this story because director Suzi Ewing and screenwriter Noel Clarke didn’t want to make a short. 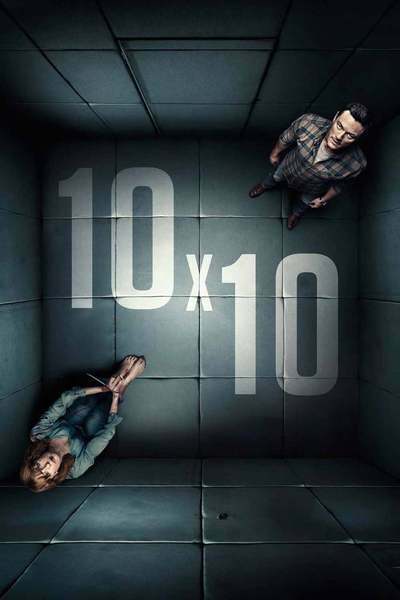 The movie does not stay confined to the 10x10 room for too long, for despite Lewis’ construction abilities, he’s not that hot of a criminal mastermind. He is not, in fact, a criminal at all, at least not until he kidnapped Cathy, who proves repeatedly adept at temporarily escaping from him, after which he beats her down and puts her back into the place he made for him. I don’t want to give away too many plot points here. Your option to watch this movie unspoiled is not something I want to step on, despite my fervent belief that this is not a movie that ought to be watched. On the plus side, director Ewing displays a better-than-competent command of cinematic space, so some of the suspense beats produced aren’t entirely ineffective. Here’s hoping she develops better taste in scripts.